How To Celebrate Valentine's Day - Halloween Style! Whether you love it or hate it, Valentine’s Day is here. But there’s no need to fear it. We’ve got some great ideas on how to celebrate it Halloween style! Here are all the tips and tricks you’ll need to give February 14 a spooky twist – of course with a little help from your leftover Halloween decorations, makeups and props. In Need Of A Bloody Good Valentine’s Day Idea? Surprise your loved one with a meaningful message but present it in a way your Halloween-loving partner will appreciate. 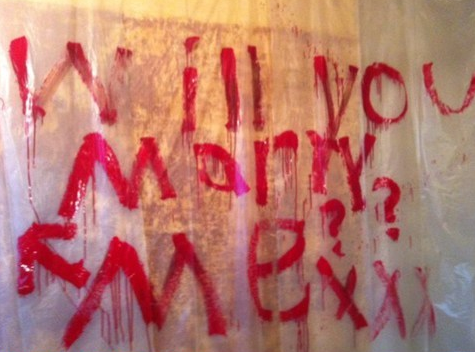 Grab some leftover fake blood and write a message for them on your shower curtain, bathroom mirror, or hey, yourself! Just be sure to wash it off, or else you, and your home, could be in for some mighty strange looks! If fake blood isn’t quite cutting it, take it one step further. Before you go there, OF COURSE we don’t mean real blood – we mean fake wounds. Grab some fake wound stickers and cut them into a heart shape. Or, if you’re really arty, position them over your heart. Tell your Valentine your heart beats so hard for them, it’s bursting out of your chest. Gruesome, but heartfelt. Just because it’s Valentine’s Day, it doesn’t mean you can’t have your favourite Halloween treats. Decorate a pumpkin pie with a sugar dusted heart shape. Fill your Halloween candy pot with valentine chocolates. Or, create a delicious fondant cake with an oozy blood red filling and decorate it with your best Halloween decorations. 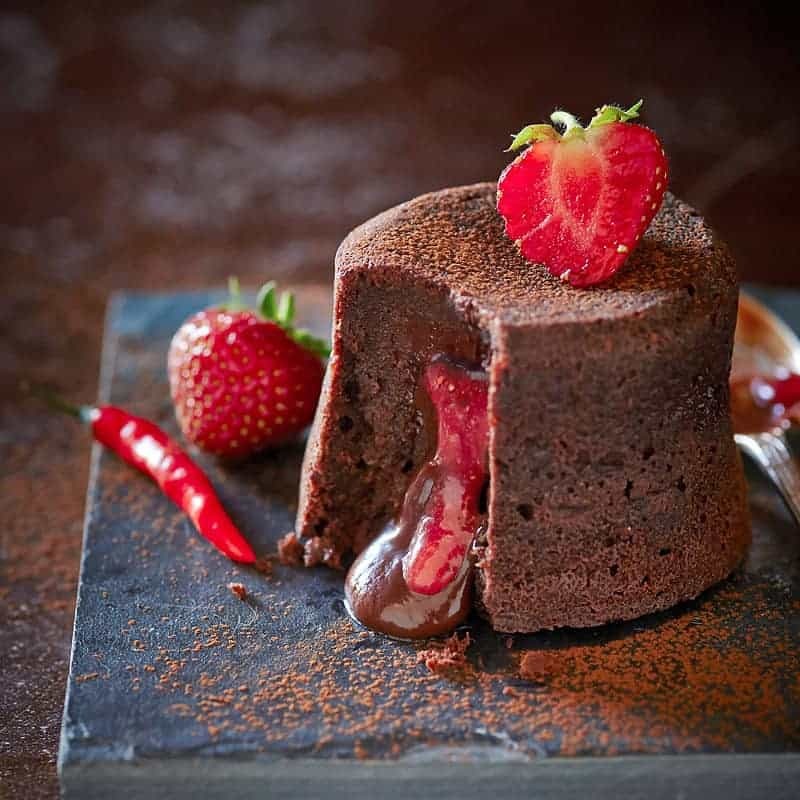 To make this, first find a chocolate fondant cake recipe. To make the oozy red filing, create a strawberry puree and freeze it in an ice cube tray or sheets. Once frozen, mix together your cake mixture and fill your cake moulds halfway and then bake for five minutes. Next, take them out of the oven and place the frozen strawberry mixture on top and cover with the remaining cake mix. Bake for another 15-25 minutes and then serve! Yum! And finally, for those of you who wish we could just swap Valentine’s Day for a second Halloween, just pretend it really is Halloween! Put on your favourite costume, get out your creepiest Halloween decorations and cosy up in front of the TV and spend the night watching your favourite horror movies. Whether you put your Halloween decorations to creative use, or hide away with some spooky TV, share photos of how you’re celebrating Valentine’s Day Halloween Style with us on Facebook and on Instagram using #HalloweenAlley. But for now, we wish you a haunting Valentine’s Day!